A.J.S - the initials of Albert John Stevens, one of the four founding brothers (there were five brothers in the family). They produced motorcycles from 1910 to 1945. 1856 J. Stevens and Co was established by Joseph Stevens in 1856 in Wednesfield, Wolverhampton, as a blacksmith works. He and his wife had nine children, all of whom became involved in the business. Early 1900s. J. Stevens and Son had premises in Tempest Street, Wolverhampton. 1897 Inspired by a Mitchel engine of poor performance, his sons Harry and Joe had built an engine which outperformed the American unit. 1899 The Stevens Motor Manufacturing Co of Wolverhampton was established, which marked the start of the brothers' involvement in the business of producing motorcycles. 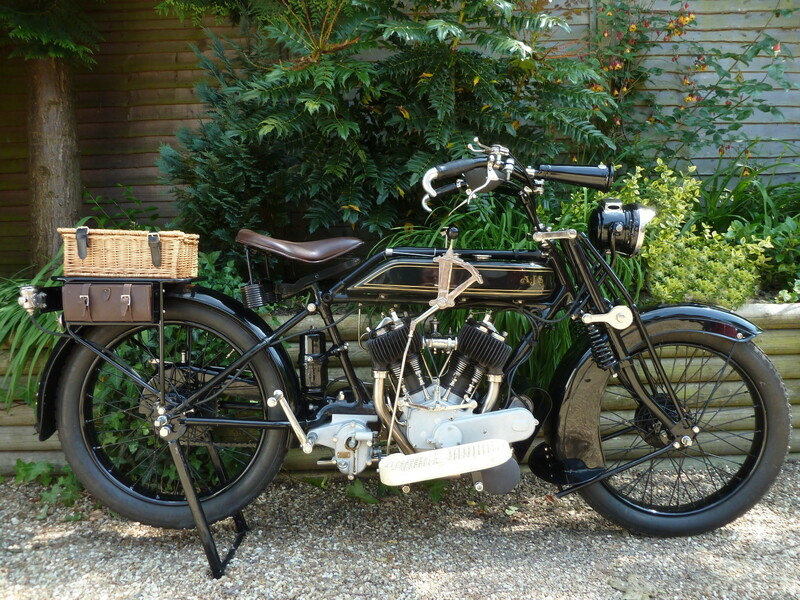 1905 The Stevens built a bike with a JAP V-twin engine, with leading-link front forks and a swinging fork at rear. They had also been producing frames. 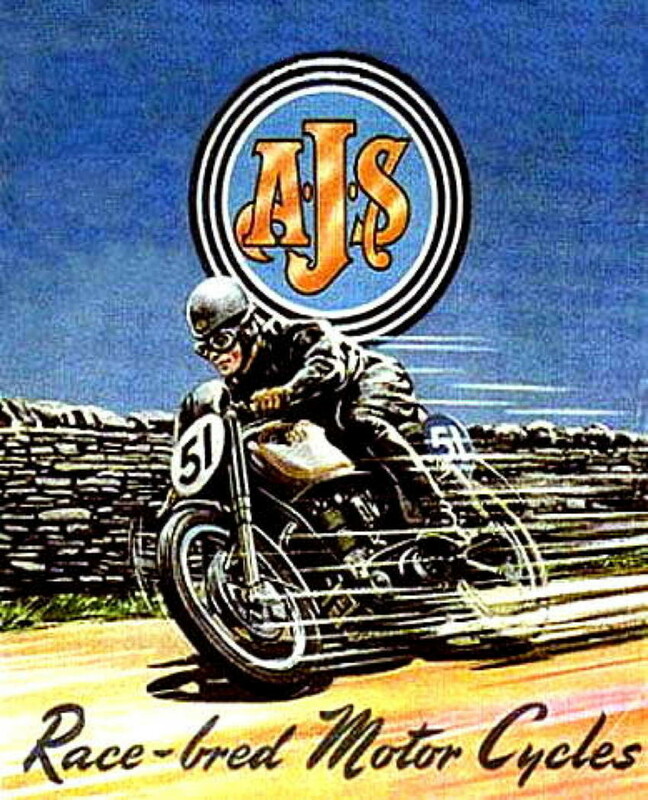 1909 The AJS company was founded by the Stevens brothers - Harry Stevens, George Stevens, Albert John Stevens and Joseph Stevens, Junior. Their first engines, 125cc, were used by other companies. 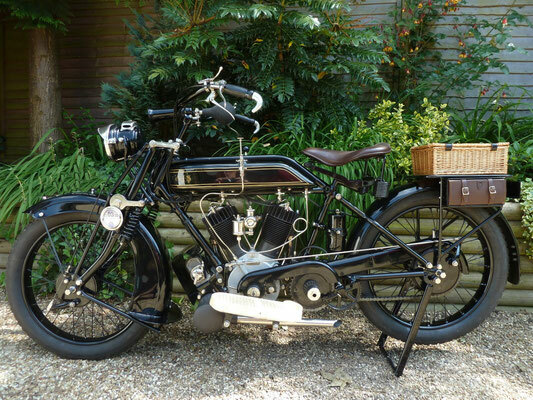 1910 The first model was produced as a 292cc (2.5 hp) single with either a direct belt drive or a two-speed with chain drive. 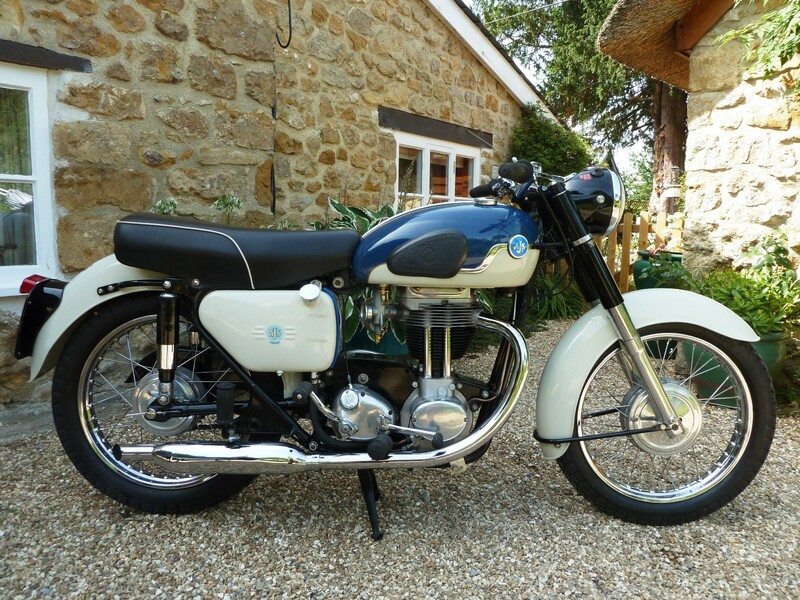 The A version had no gears or clutch while the B version had a clutch and two-speed gear-box. 1913 Shown at the Motor Cycle Show, the 6 hp V-twin model was a best-seller for sidecar use. 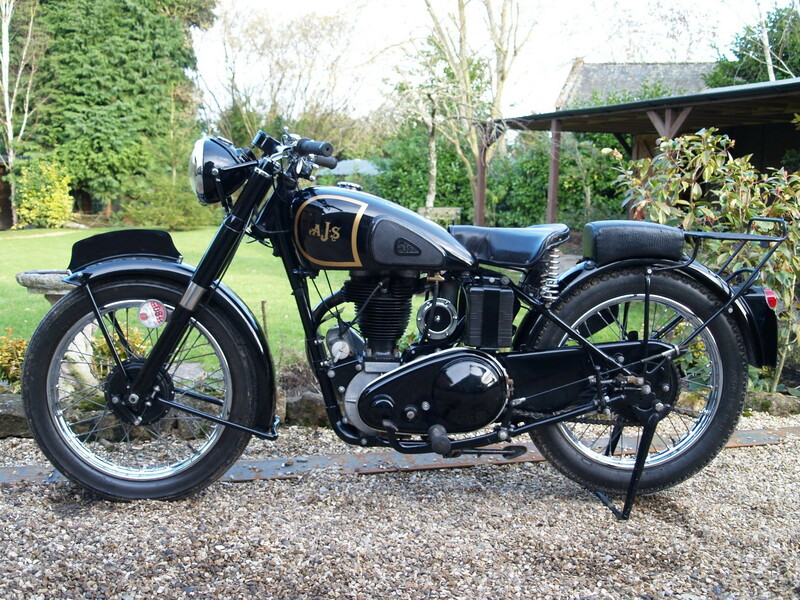 The sidecars were produced by the Hayward firm. Also at the show was a 2.75 hp model. 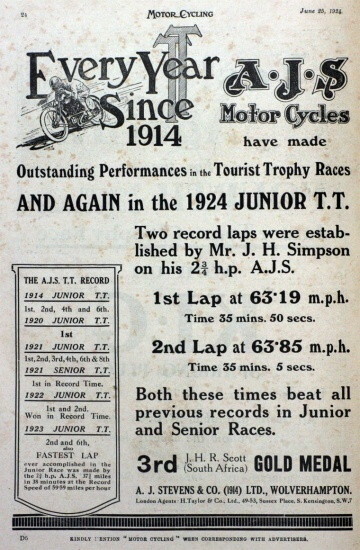 1913 In the Junior TT of that year, AJS machines took 1st, 2nd, 4th and 6th places, and there was soon a boost in demand. 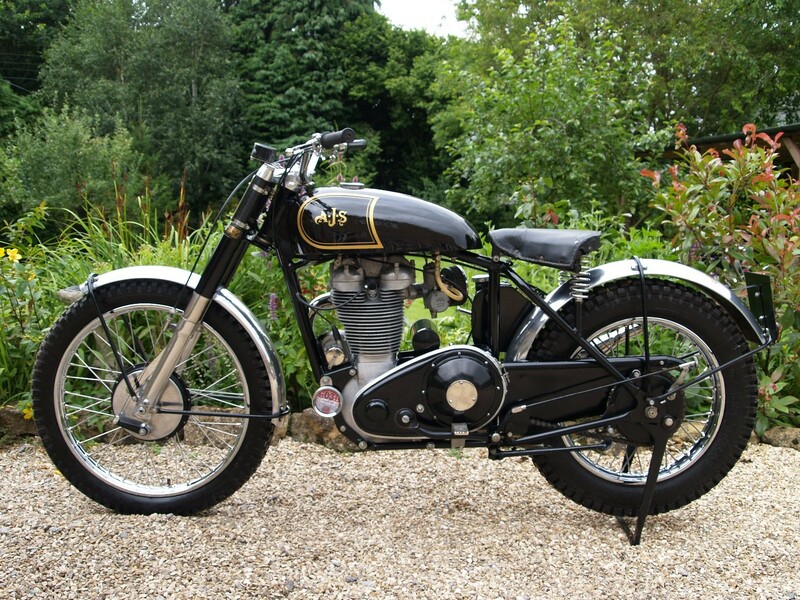 WWI: production of munitions as well as continued manufacture of motorcycles. 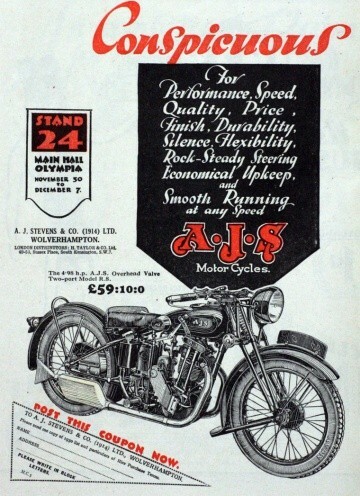 1914 Directory lists them as Stevens, A. J., and Co., Retreat Street, Wolverhampton and as motor cycle manufacturers. 1915 The range consisted of three models; the sporty 2.75hp single, a medium weight 4hp (550cc) twin and, as top of the range, the 6hp model D with Brampton patent spring forks, three speed counter-shaft gearbox and internal expanding rear brake. 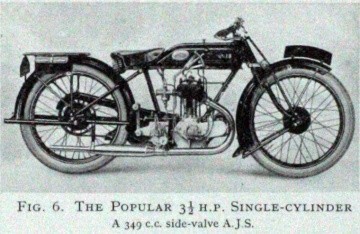 A new feature on all 1915 models was the so called AJS 'scientific frame' with straight top tube sloping from head to seat lug, eliminating the use of bent tubes. 1919 The V-twin engine was greatly altered although the gearbox remained unchanged. At the Olympia show a new 6hp model was introduced. 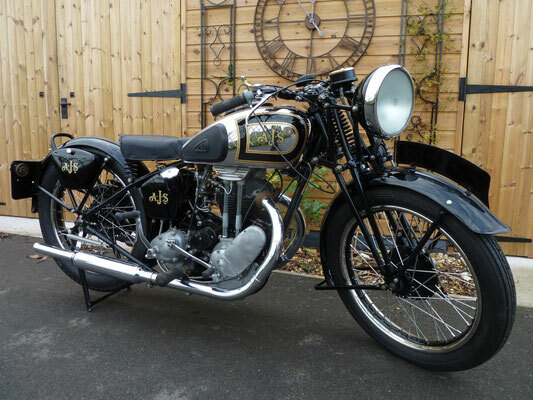 Its features included a new type of saddle tank, interchangeable and quickly detachable wheels, specially sprung comfortable saddle, foot-boards with rubber mats, rear stand operated by hand lever and big size aluminium exhaust damper, placed under the front of the engine. Engine capacity was 748cc, bore and stroke 74mmx87mm. It had detachable cylinder-heads, high-tension magneto ignition and a three speed gearbox and was also available in combination form. 1920 AJS took over the Hayward company, and returned to the TT. The company introduced several innovations, including internal expanding brakes and all-chain drive. 1920 In the T.T. race they had 350 cc OHV models and won the Junior race with Cyril Williams at 40.74 mph. 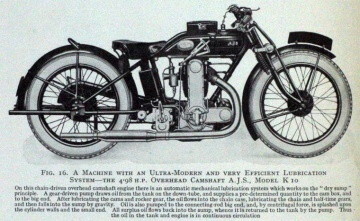 1921 Design improvements and revised engines brought many sporting successes. Most remarkable of those were at the Island TT where they took an impressive 1st, 2nd, 3rd, 4th and 6th, Eric Williams first followed by a resounding win (by a two minute lead) with Howard Davies in the Senior TT, two days later. 1922 Harry Stevens, the company's leading designer, was an enthusiastic radio amateur. Radio (wireless as it was known) was in its infancy; on 27th April, 1922, he organised a public concert and demonstration of radio at the AJS works and broadcast a musical concert from his home radio station on a Sunday morning. 1923 Harry anticipated there would be a large demand for wireless receivers (recognising what had happened in the USA) and persuaded the AJS board to manufacture AJS receivers. New buildings were added at Lower Walsall Street for wireless manufacture; the wireless department became known as A.J.S. Wireless and Scientific Instruments. Four models were launched in 1923, all aimed at the top end of the market. 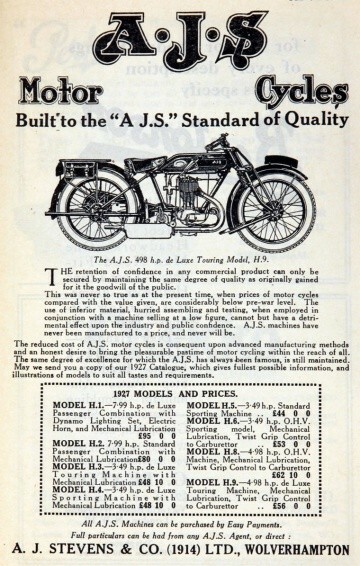 1924 Five new models were released at lower overall prices. But then foreign manufacturers were allowed to sell in the UK which increased competition for British manufacturers and so prices fell. 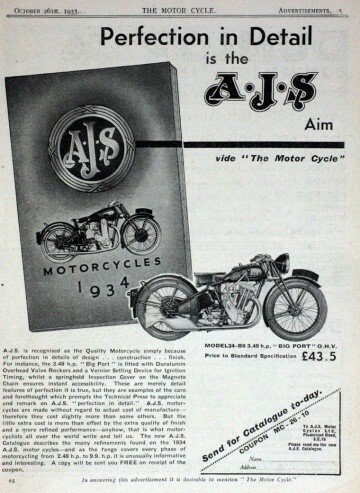 AJS displayed their products at the 1924 Wireless Exhibition. The company also opened its own radio station, broadcasting from Lower Walsall Street Works. 1925 More models were introduced and sales continued to increase; extra space was found at the Stewart Street works for wireless cabinet making. New showrooms and offices were opened at 122-124 Charing Cross Road, London. 1926 Sales fell due to rapid development by competitors so a new range of modern-looking receivers was developed, the Symphony range, but they were still battery-powered. Mass production methods were also introduced. 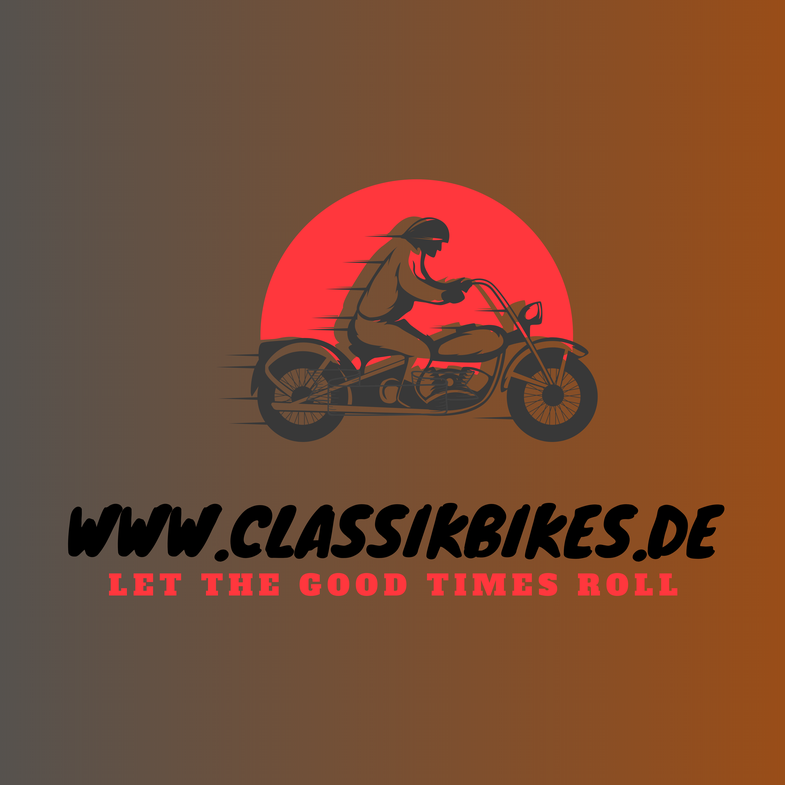 1927 Sales of radios and cycles were falling. AJS won a contract to produce the Clyno Nine car at Lower Walsall Street Works. As a result the wireless department moved to Stewart Street Works. 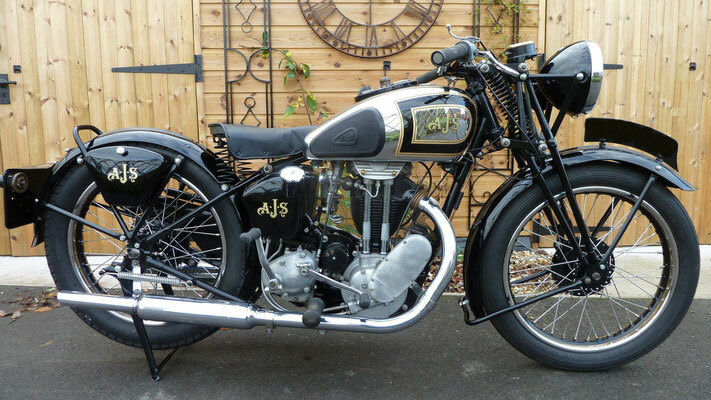 AJS brought in an overhead, chain-drive camshaft for motorcycles. 1928 The company had problems with trading conditions. 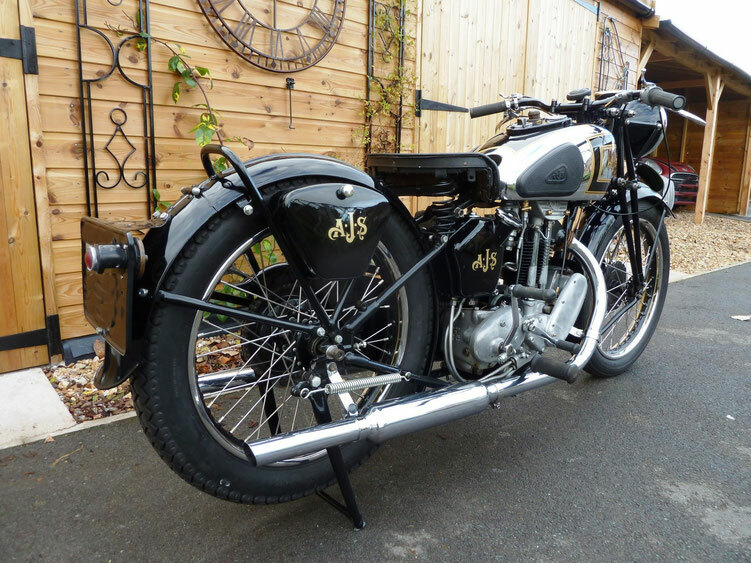 AJS then went into the production of commercial vehicle chassis. Radios were rapidly becoming more complex but AJS did not keep up to date with the latest technology, so the decision was made to stop radio production. The Stewart Street works were sold to the Symphony Gramophone and Radio Co. The new company soon began producing radio receivers, radiograms and loudspeakers. 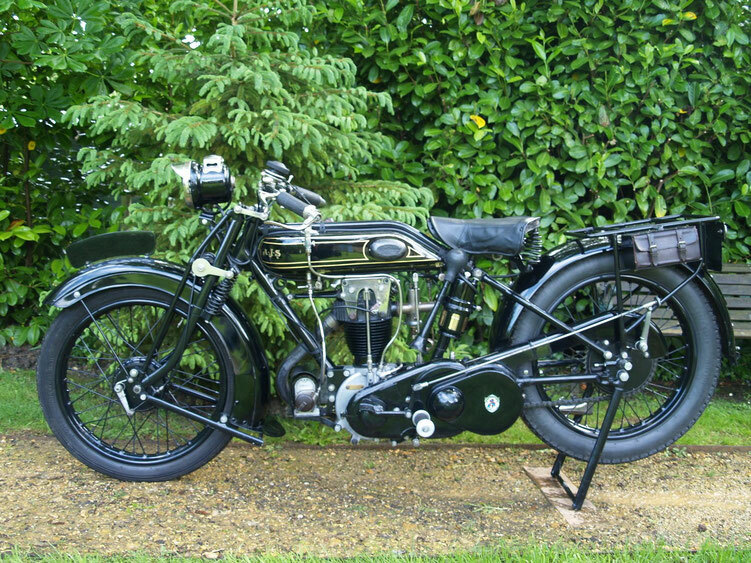 1928 New motorcycle models with OHC were introduced as the K7 (350 cc) and the K8 (500 cc). 1929 in February Clyno failed and the car contract ended. Development of the AJS Nine car began as a product to plug the gap in work for Lower Walsall Street. By the end of the year sales were still falling, and for the third year in a row the company failed to declare a dividend. In 1930 a 10% reduction in pay was made throughout the works in an attempt to reduce running costs, and higher priority was given to the car project. An AJS 350 cc machine won the Lightweight TT. The firm now held over 100 world records. 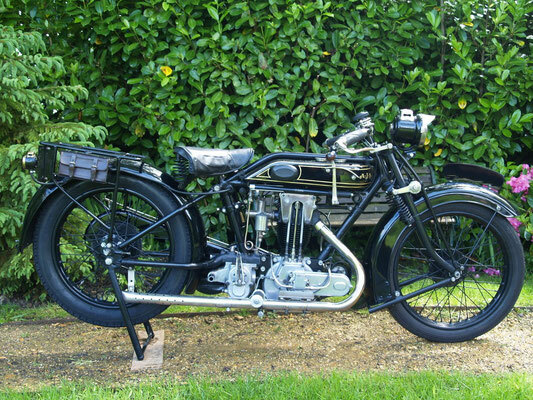 1931 AJS built the S3, an ambitious 496cc transverse tourer with alloy cylinder heads and other advanced design elements; even though times were hard the company still increased its product range. 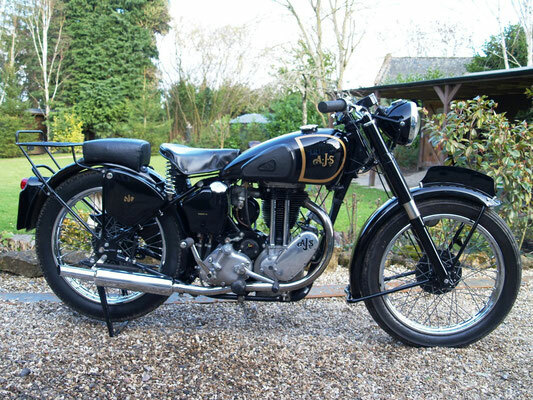 1931 During that year AJS were engulfed by financial problems; AJS was wound up, creditors paid in full and rights sold to Matchless via a take over by AMC. The Stevens' brothers remained owners of the Retreat Street Works and continued as an engineering business. The car business was sold to Willys Overland Crossley but few cars were produced. 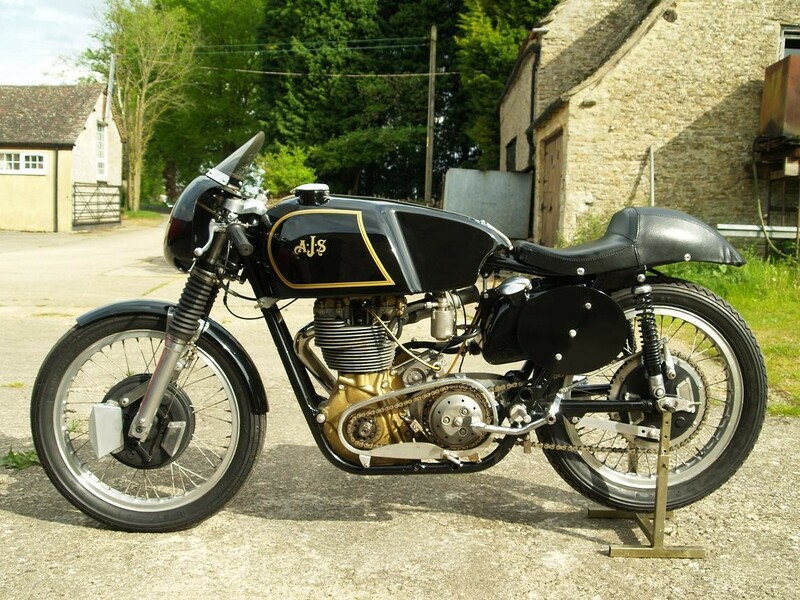 Although the new owners, Matchless, moved the firm to Plumstead and restricted the range produced, it was not the end of Stevens or the AJS name. 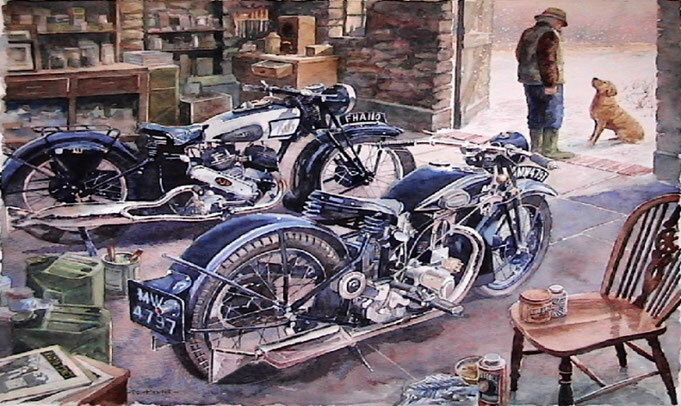 Production continued using the Matchless engine. 1934-1938 The Stevens brothers started again as Stevens Brothers (Wolverhampton) Ltd.
1937 Matchless was incorporated into AMC, a new group formed by the Collier brothers. 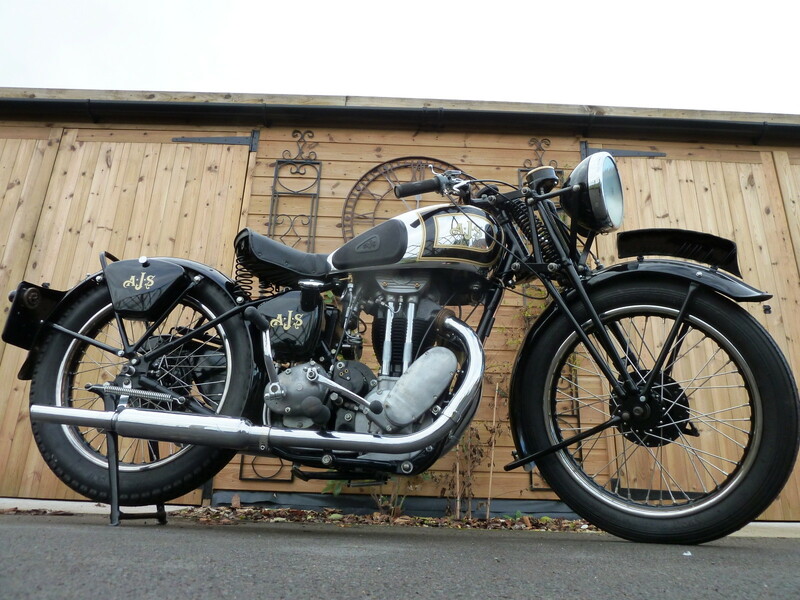 1940 Production turned to war work and AMC concentrated on Matchless, with few AJS machines being built. Those models produced were shared, but using different badging. Following World War II, AMC built AJS and Matchless motorcycles at Plumstead following the same format. 1946 A small batch of competition models was produced, with minimal design changes. AJS motorcycles were raced both on- and off-road. 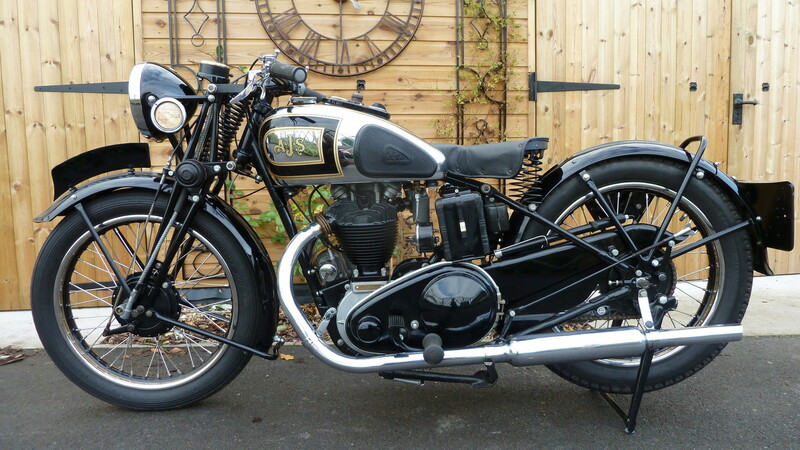 1949 The range of road vehicles was increased, along with various competition models and this set the trend until 1952. 1953 to 1962 saw the introduction of many new models and a variety of design changes, with success both on and off the race-track. 1963 The range was pared down; and again in 1964. 1966 This was the last year of production in their old format as AMC was in financial trouble. 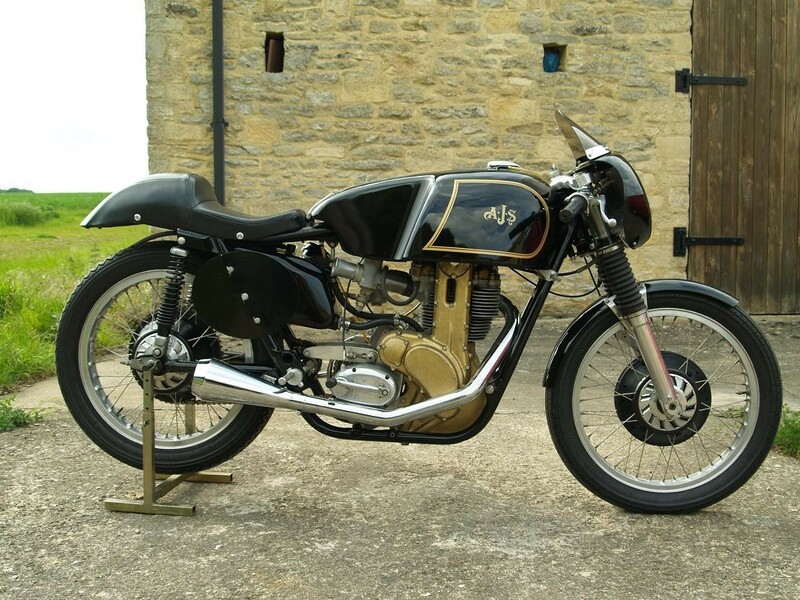 When AMC failed, the marque was bought by Manganese Bronze Holdings, who formed the Norton Villiers group. 1967 The AJS 33, model CSR, was produced under new ownership until 1967. Certain Matchless models were built until 1969. 1969 Production ceased and the factory was demolished, but both names survived. 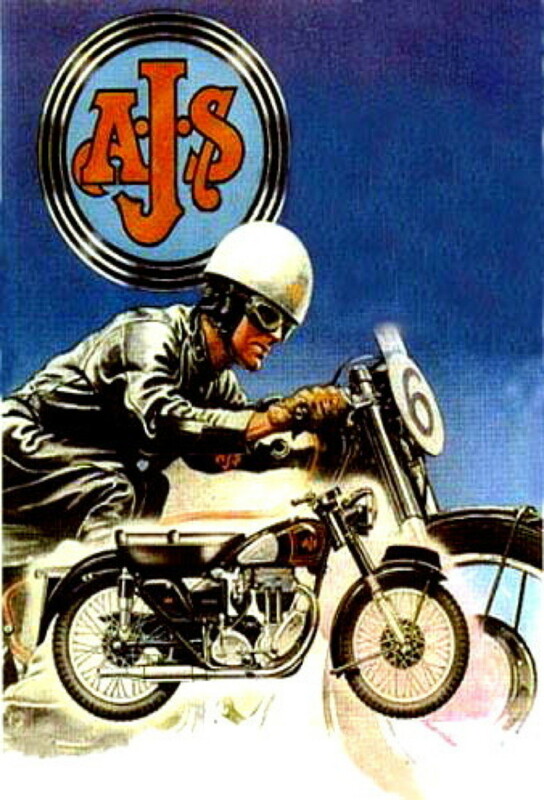 AJS Two-Strokes were motorcycles produced from 1967 to 1973. They have been produced again since 1987. 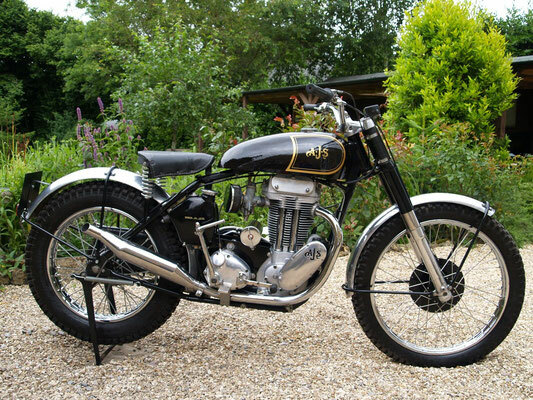 1967 The name was revived by Norton Villiers, who produced a couple of two-stroke competition machines. 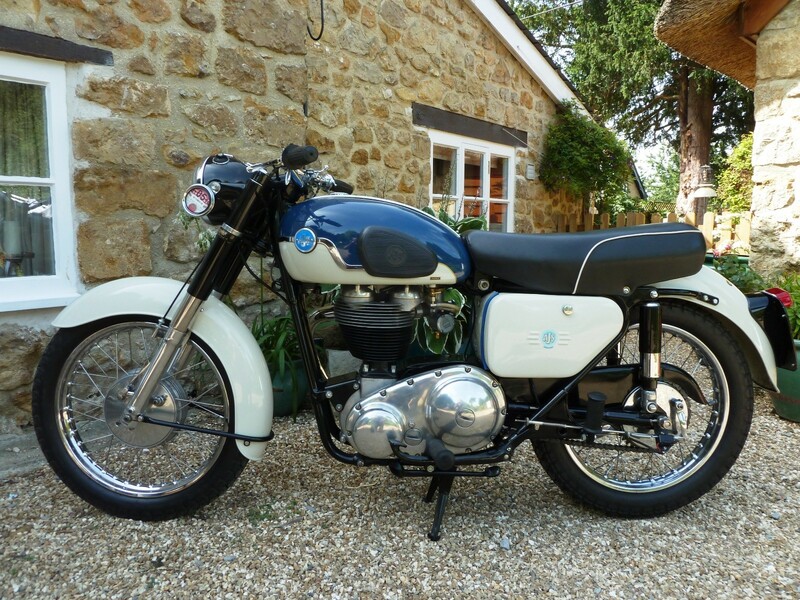 1973 These bikes were no longer offered in kit form - as had been the case in the past. The company was sold to Fluff Brown who created the FB-AJS range, which later reverted to the original name of AJS. 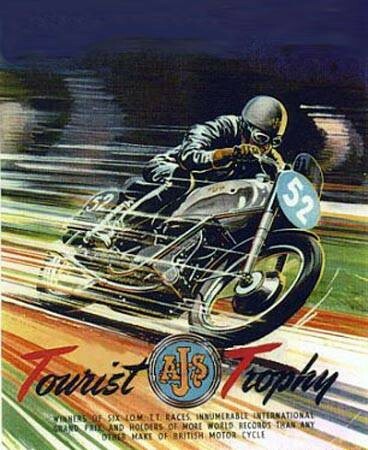 1974-1981 FB-AJS models were built in the image of the older AJS machines. The firm continued to thrive on the back of the nostalgia boom. 1991 onwards. Replicas of the early-1960s Cotton models were produced.